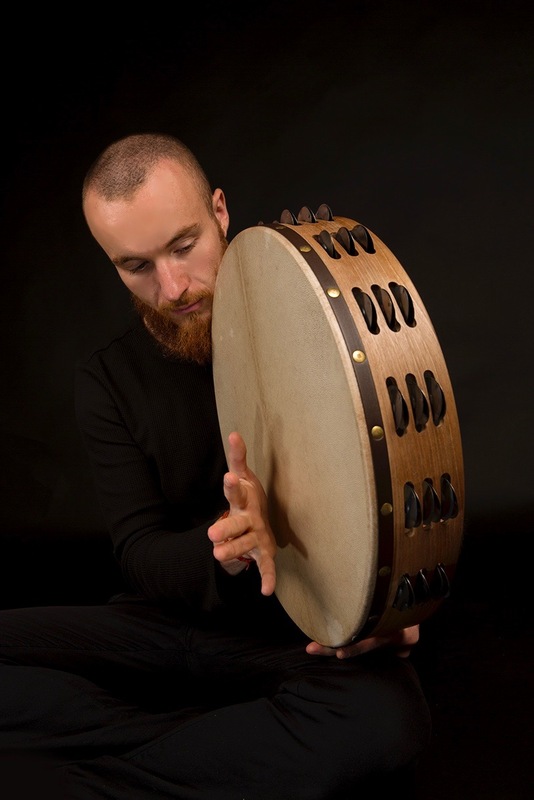 Ruairi has created his own unique style of playing which draws from his passion for exploring different global musical traditions and his 5 years of study at the Royal College of Music. He has led a truly diverse career and performs across musical genres not limited to classical, jazz, folk, world, electronica, pop, Latin and experimental music. His folk group, Tir Eolas, with whom he drums, sings and composes, has performed extensively in the UK including performances with John Williams at the Globe, for five thousand school children at the Royal Albert Hall and other prestigious venues such as Kings Place, The Sage, Ronnie Scotts, The Purcell Room, and the BBC Proms (broadcast on BBC Radio 3). Their debut album Stories Sung, Truths Told was produced by Jim Moray and released in February 2015 and as a result the group was awarded an Aldeburgh Music Residency. Ruairi has also worked and recorded with numerous artists including Evelyn Glennie, Roo Panes, DJ Yoda, folk duo Josienne Clark and Ben Walker, Maz O Connor, Sam Lee, Laura Snowden, Alison Arnopp, Emanuelle Sejourne,The Royal Philharmonic Orchestra, Mishaped Pearls, Trans Siberian March Band, Britten Pears Baroque and Symphony Orchestra. In addition to his work as a performer, Ruairi has also established a distinctive voice as a composer drawing on his eclectic musical background and flair for different musical traditions from around the world. He composes music for his group Tir Eolas who are regularly heard on both concert stage and radio. Ruairi is particularly inspired in the process of collaborative composition, and has facilitated workshops to develop new music with a variety of different groups, from school children, young people on the autistic spectrum, refugee groups to adults living with dementia. In 2015 he was commissioned by English Touring Opera and Turtle Key Arts to create a new song cycle with people living with dementia to be premiered in Fairfield Halls, Croyden. Ruairi has composed and music directed a number of productions for Chickenshed Theatre Company including We Are All Born Free, a collaborative project with Amnesty International, the title song of which was performed for the Dali Lama's visit to London in October 2015. Ruairi regularly presents live orchestral concerts which feature his own orchestrations and arrangements of classical repertoire, often condensed for smaller groups of musicians and featuring participatory elements. 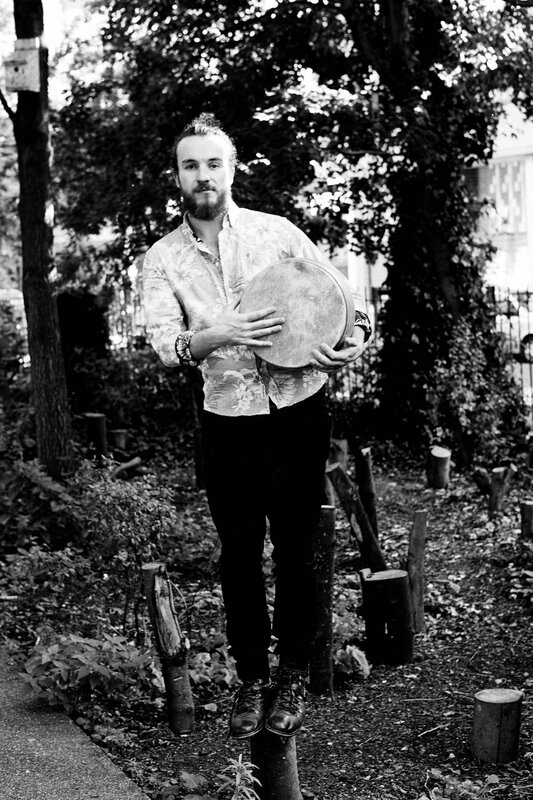 As a keen yogi, Ruairi has most recently started composing music for yoga and meditation. In collaboration with lifestyle brand Lululemon, he recently developed a unique yoga/music/storytelling event with yoga and lifestyle guru, Isa Raim, which was attended by over 100 yogis at the flagship Regents Street Store. Future projects include an instrumental EP of his compositions entitled Onestme and music for a new ballet featuring solo percussion and live electronics.